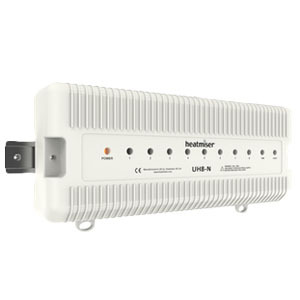 Heatmiser UH4 can be used with mains thermostats. 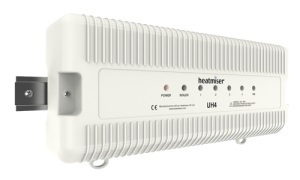 The Heatmiser UH4 can be used in conjunction with our mains thermostats. 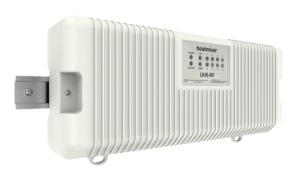 The UH4 provides central switching of up to 4 zones actuators as well as providing an output for a hot water cylinder, the system boiler and pump. When used for underfloor heating, an option is available to use zone 4 as a conventional radiator zone. Up to 6 actuators can be connected to each zone.